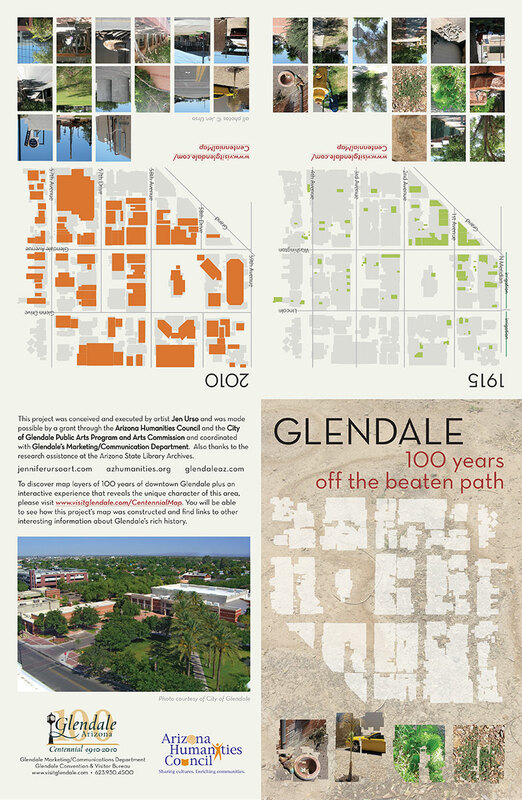 A map and website created to celebrate Glendale, AZ’s centennial. 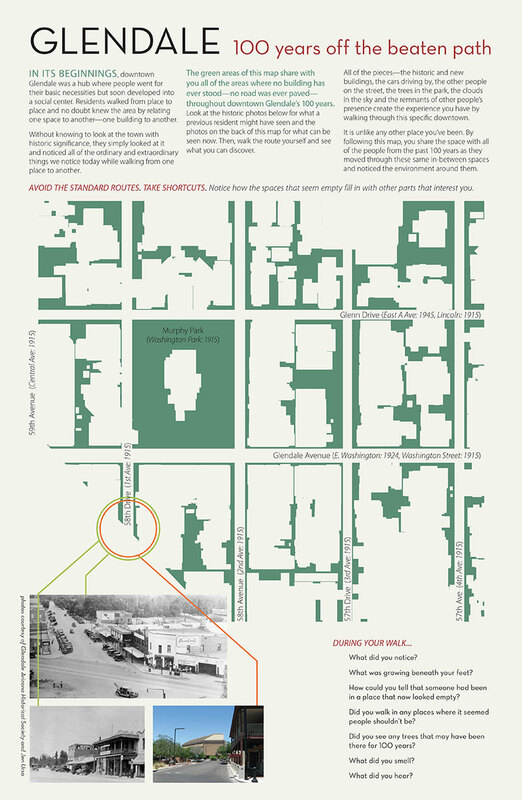 Aerial maps from intervals over the past 100 years of the downtown area were layered and a reverse image was made of the spaces where no building or street had ever been. Participants were invited to walk the path and discover their own experience of the uncharted areas of their city.